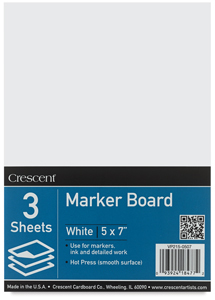 Crescent Hot Press Illustration Boards have very smooth surfaces, and are used for pen-and-ink, mounting, transfer lettering, and graphic design. They're also suitable for keylines, acrylic washes, airbrush, and adhesive film. Crescent boards are of excellent quality. Crescent's No. 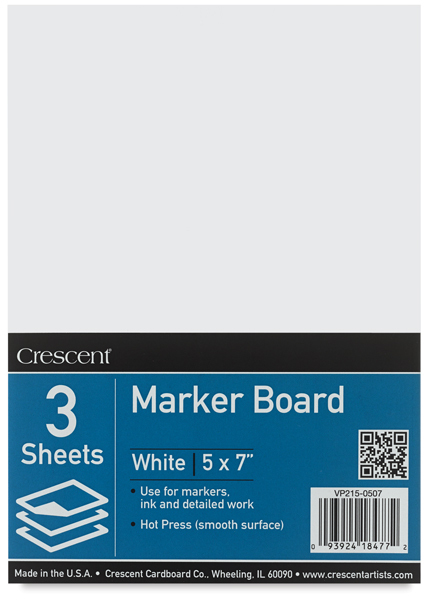 215 Hot Press Illustration Board is a medium weight, professional grade board with a bright white surface for greater contrast with pen-and-ink and more transparent washes. Each board is 18-Ply and 0.06" (1.5 mm) thick.